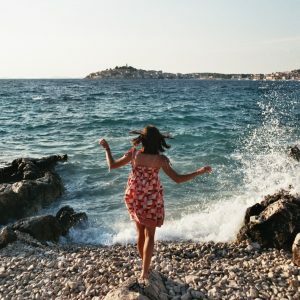 Scandinavian cities are known for being expensive and unaffordable, but after traveling there myself, I discovered plenty of free and fun activities to do. 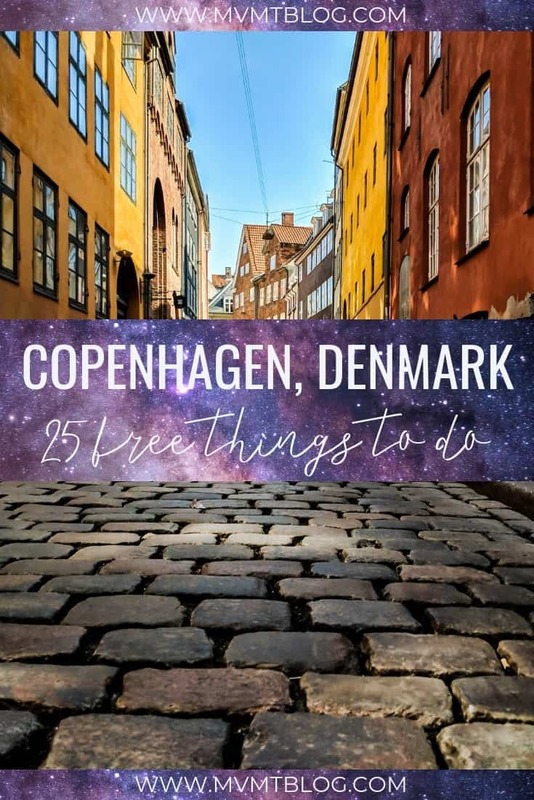 This list contains a mixture of history, culture, beautiful sights, and alternative art that will help you experience Copenhagen on a budget and keep you entertained for days. 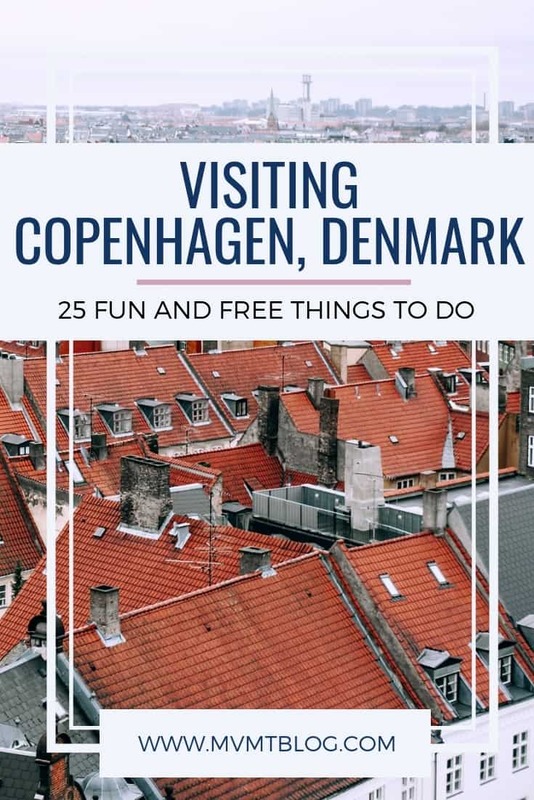 Here is our list of 25 free things to do in Copenhagen. This isn’t exactly free, as you must tip your tour guide, but I always like to start my visit to a new city with a free walking tour. Sandeman’s has a tour staff there, or you can take a tour through one of the many smaller tour companies as well. 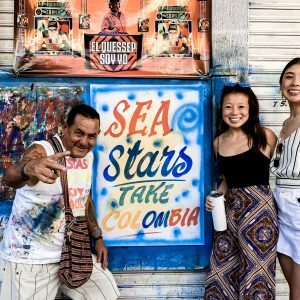 I’m a big fan of walking tours because they’re led by locals, many of whom are expats from other countries (could be your country! 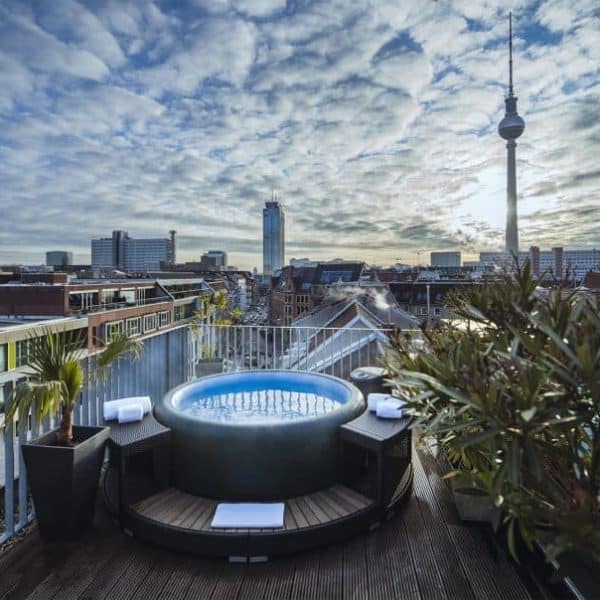 ), and it provides me with a broad overview of the city so I know which sights I want to go back to and spend more time exploring after the tour and which I can skip. If you read our 24 Hours in Copenhagen post, you may recall seeing some panoramic views of the city. However, those were not taken from the highest point in Copenhagen, which is actually the tower at Chrstiansborg Palace. Although many of the exhibits at Christiansborg Palace require an entrance fee, the tower is free to the public. There is also a restaurant located at the top of the tower that serves lunch, afternoon tea, and dinner if you fancy a meal with views. Remember that the tower, along with several other attractions in Copenhagen, is closed on Mondays. 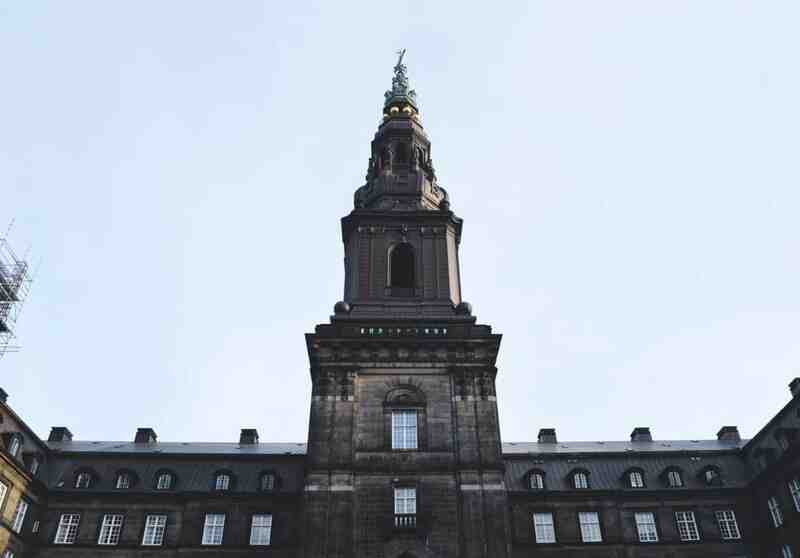 If you’ve made it to the tower, I’m sure you’ve caught a glimpse of Christiansborg Palace. The name is a bit deceiving – although it’s called a palace, it is actually a government building as well. Here you will find the Danish Parliament, the Danish Prime Minister’s Office, and the Supreme Court of Denmark. If you’re thinking that it’s strange for all of these branches to be located in the same place, you’re right – it is strange. Christiansborg Palace is unique in that it is the only government building in the world to house all three branches of government. The Thorvaldsens museum is dedicated to the artwork of Bertel Thorvaldsens (1770-1844), a Danish sculptor. Other than its famous sculptures, this museum has significance in that it was the first public museum in Denmark. 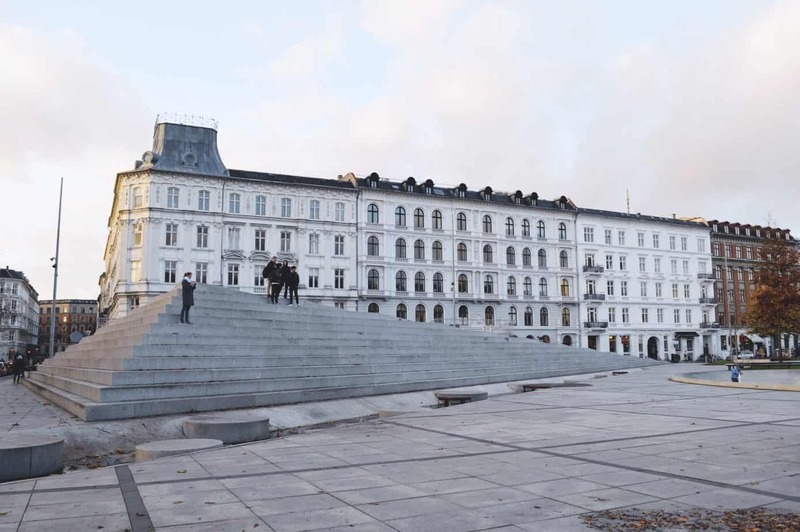 It opened in 1848, four years after Thorvaldsens’ death, and it looks more or less the same today as it did in 1848. Nyhavn, or the “painted houses,” was originally built as a place for commercial boats to dock. The area was filled with sailors and pubs. 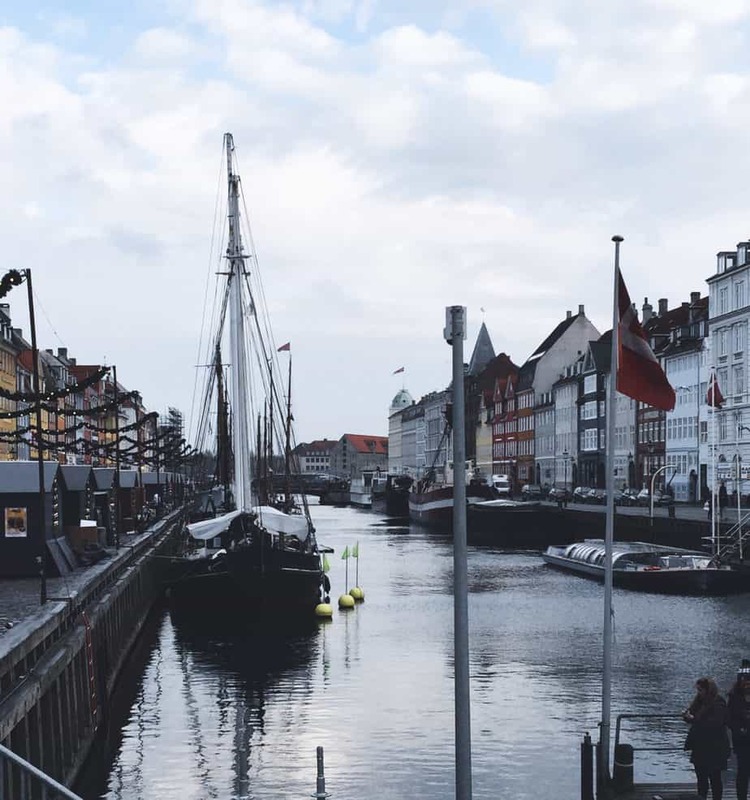 Today, the restaurants that line Nyhavn are classier than in the 17th century, but you can still enjoy a casual evening out on the canal with great food, drinks, and live music. In the winter, be sure to check out the Christmas decorations that fill Nyhavn. If you have the time and interest, look for house No. 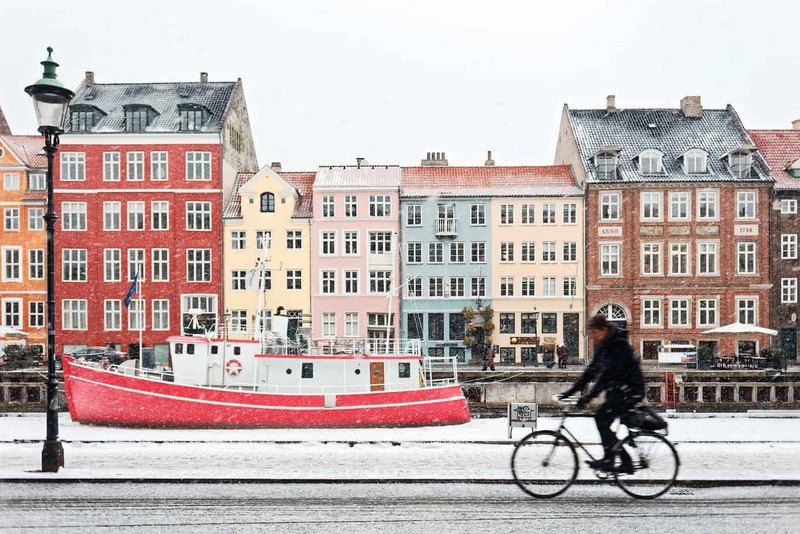 9 along the canal, which was the first house in Nyhavn and to this day remains unchanged from the day it was built. 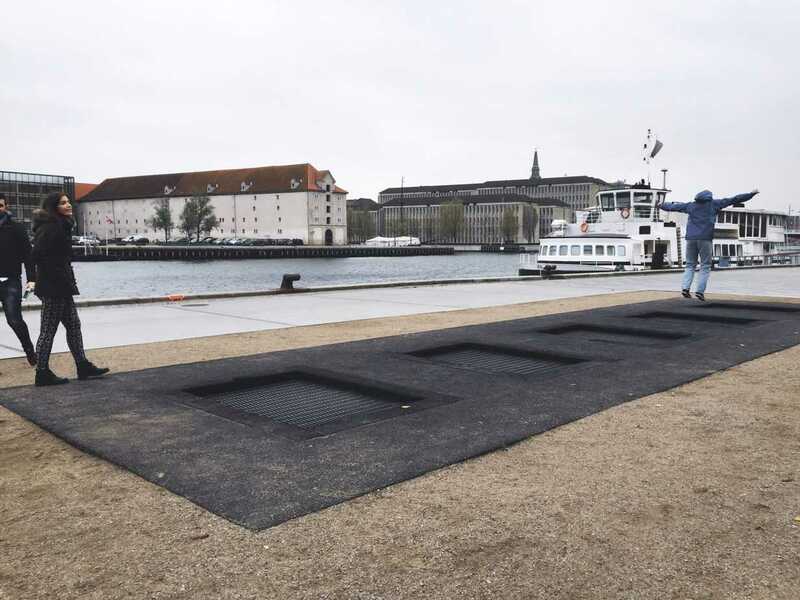 If you walk a little outside Nyhavn toward the harbourfront, you’ll see a set of trampolines built into the ground. This is not just for children! We had a blast playing on these trampolines. One of my friends tried jumping from one trampoline square to the next, consecutively, until he got from one end to the other. It seemed a bit precarious at the time, but he made it! We posted a video of it here. 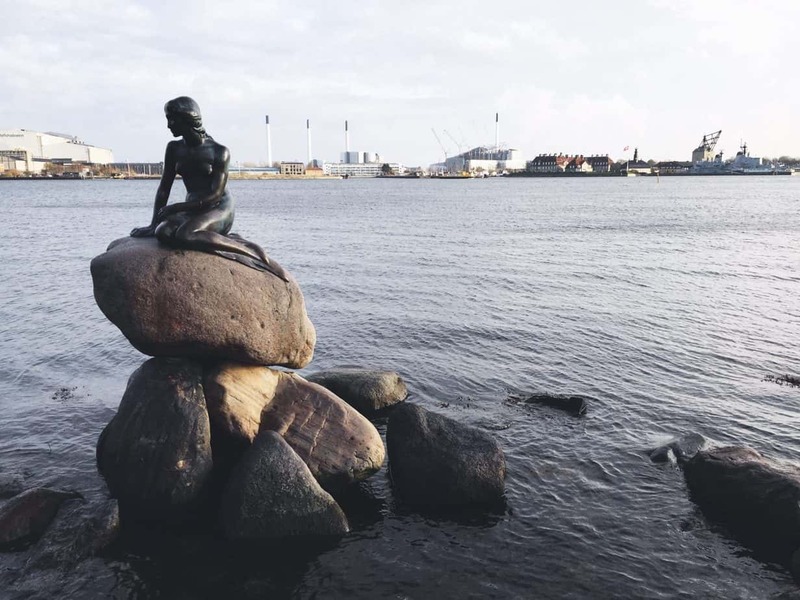 The Little Mermaid is Copenhagen’s most photographed statue, despite its surprisingly small size. 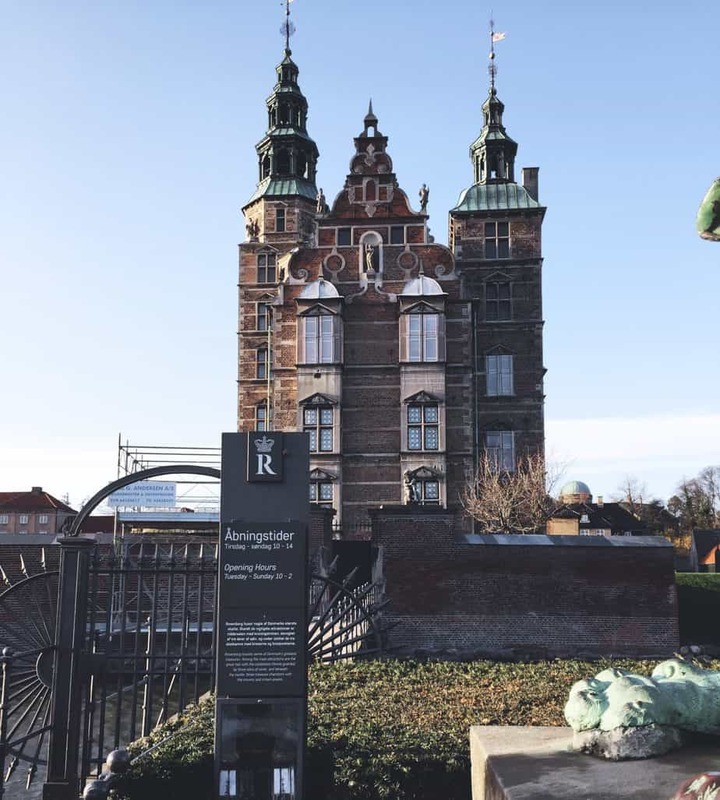 It was commissioned by Carl Jacobsen of Carlsberg Brewery as a gift to Copenhagen and made by Danish sculptor Edvard Eriksen in 1913. The Little Mermaid has undergone a series of unfortunate events in her lifetime, including losing her head in 1964, 1990, and 1998, losing her arm in 1984, and getting knocked off her pedestal in 2004. She has, however, fully recovered and even made an appearance at the Expo in Shanghai in 2010. It’s easy to miss the Little Mermaid because she’s so small, but you will most likely see a crowd of people standing around taking photos, which will be your cue that you’ve arrived. The harbourfront leading up to the Little Mermaid is beautiful. It is lined with greenery, castles, and of course water. One specific site you should see is the Gefion Fountain, which you’ll recognize from the numerous animal figures that lead to the top of the fountain. You can also take a stroll around Langlelinie Park, where the fountain is located. Right behind Gefion Fountain sits Kastellat, a star-shaped fortress that exists primarily as a public park and historic site, although it does continue to house various military activities. You can feel free to walk around the entire fortress, and if you go during the evening or off-hours, you shouldn’t see many tourists there. This was the first star-shaped fortress I’d seen, and I thought it was an interesting comparison to the sea fortress of Suomenlinna I had just lived on a few days earlier. Rådhuspladsen is the main town square in downtown Copenhagen and the square where City Hall is located. Many tour groups meet here, and it is not uncommon to see demonstrations and events taking place on this square. Since it’s the center of downtown and there’s a lot of traffic that passes through, it’s a great place to take a rest and people watch. The inside of City hall is intricately designed and is adorned along all walls with Danish flags. You’ll find that it compliments the National Romantic style of its exterior style quite well. 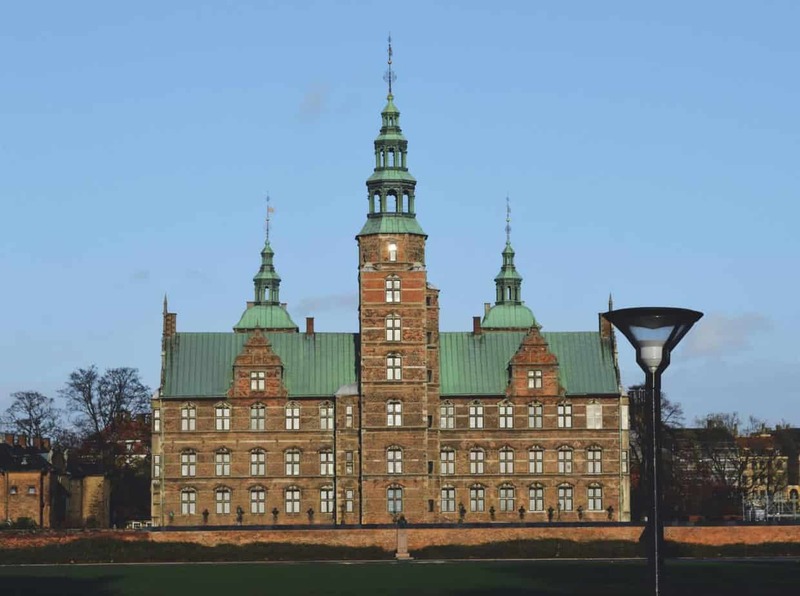 With its 105 meter high tower, City Hall is one of the tallest buildings in Copenhagen. King’s Garden, also referred to as Rosenborg Garden, is Denmark’s oldest royal garden. It was designed in the early 1600s in the Renaissance style by Christian IV, and today the garden is lined with beautiful flowerbeds and statues, including one of Hans Christian Andersen, who is quite the icon in Copenhagen. On a nice day, this is the perfect place to sit outside and have a picnic. The gardens are free to the public. The Rosenborg Castle was also designed by Christian IV and was originally built in 1606 as a summerhouse. This renaissance-style castle was used as a royal residence until 1710, when it was converted into a home for the royal collections. Although there is a fee to enter the castle, you are free to admire the castle from the outside while having a picnic in the King’s Garden. The Amalienborg Palace is the home of the Danish royal family. It consists of four main buildings that surround an octagonal courtyard. Each day at noon, there is a changing of the guards procession that is free for the public to see. You may have seen the changing of the guards already in other cities such as London, but I would recommend seeing this regardless, as it is always interesting to see how the changing of the guards procession differs from country to country. If you would like to tour the inside of Amalienborg Palace, you will need to pay an entrance fee, but the changing of the guards takes place outside and is free for the public to watch. The Royal library is the largest library in all of the Nordic countries. It is the national library of Denmark and also serves as the university library for the University of Copenhagen. Although it is undoubtedly notable for its large collections of books, many may recognize it by the floor to ceiling glass walls that line the main library, or the Black Diamond. The Black Diamond is one of five sites that make up the Royal Library. University of Copenhagen was founded in 1479 and is the oldest university in Denmark. 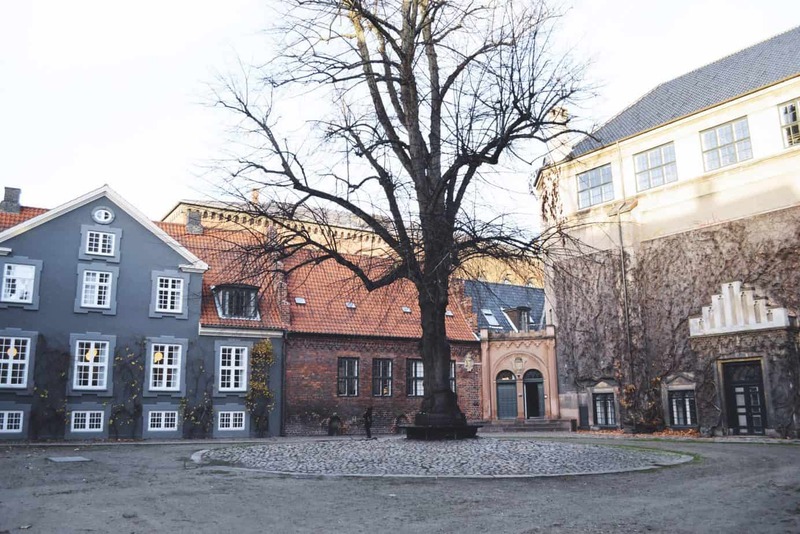 It has four campuses, which are located throughout Copenhagen, and each campus is as beautiful as the next. While most classes are taught in Danish, there is a good number of courses taught in English and German as well. 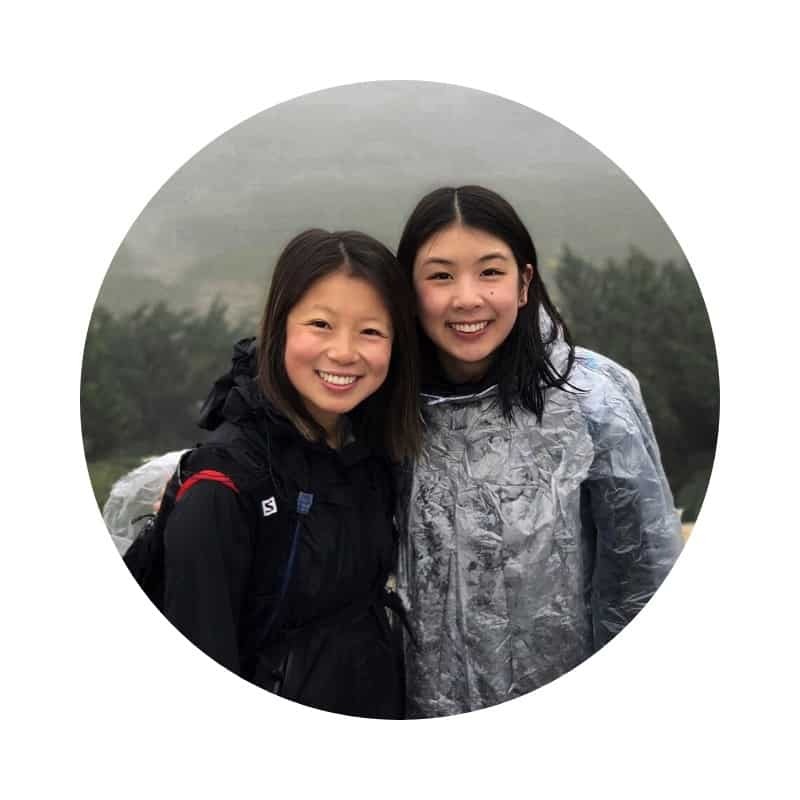 The university accepts thousands of international students each year, about half which come from Scandinavian countries. The botanical garden, which is owned by the University of Copenhagen, is located in the center of Copenhagen and consists of 27 glasshouses. The most famous glasshouse is the old Palm House, a 16 meter tall glasshouse from 1874 that contains a narrow, cast-iron spiral stairway leading up to a passageway at the top. Although the botanical garden was first established in 1600, it was subsequently moved around a few times before finally being established in its current location in 1870. The garden contains over 13,000 species, so you are sure to find at least some flowers and plants that appeal to you. The garden, including all 27 glasshouses, is free to the public. The Islands Brygge Harbour Bath is a swimming area that consists of five pools of varying depths. There are two shallow pools specifically for children, and there are diving boards at the deeper pools for the more adventurous swimmers. In the summer, you will see locals take a dip in the Harbour Bath on their way home from work, and I have heard that you will find the occasional local bathing here in the winter as well. While swimming in the Harbour Bath, you will have a full view of the Copenhagen skyline. There is also a grassy area above the water where you can enjoy a picnic, read a book, or sunbathe on a nice day. Torvehallerne is a lively market with meat stands, fish stands, vegetable stands, cafes, and restaurants. All of the food at Torvehallerne is sourced fresh from local farms. 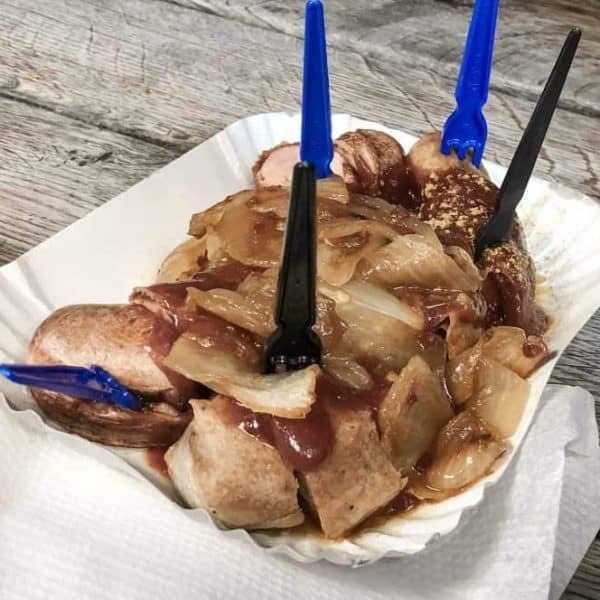 There are food stands outside as well, with plenty of outdoor seating that locals do not shy away from, even on winter days that feel much too cold to be sitting outside. 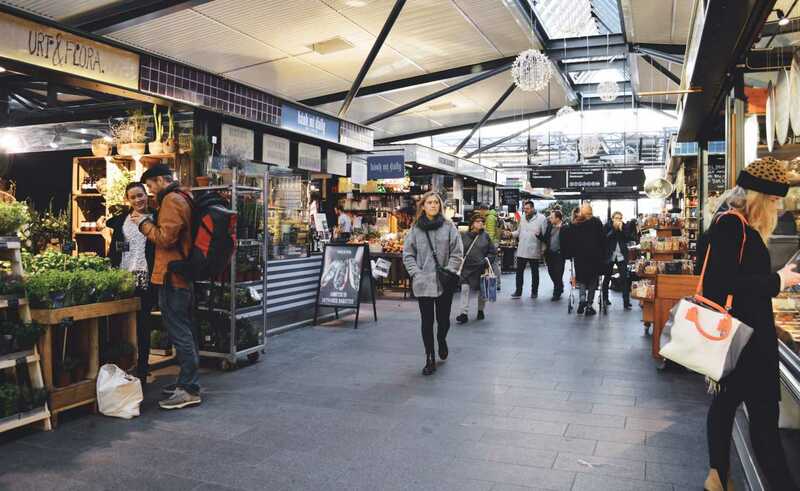 Even if you’re not in the market for fresh produce or a hearty meal, take a walk through this market and check out the fresh, interesting foods, or grab a coffee with a friend and enjoy the ambience of the clean, fresh, and busy marketplace. 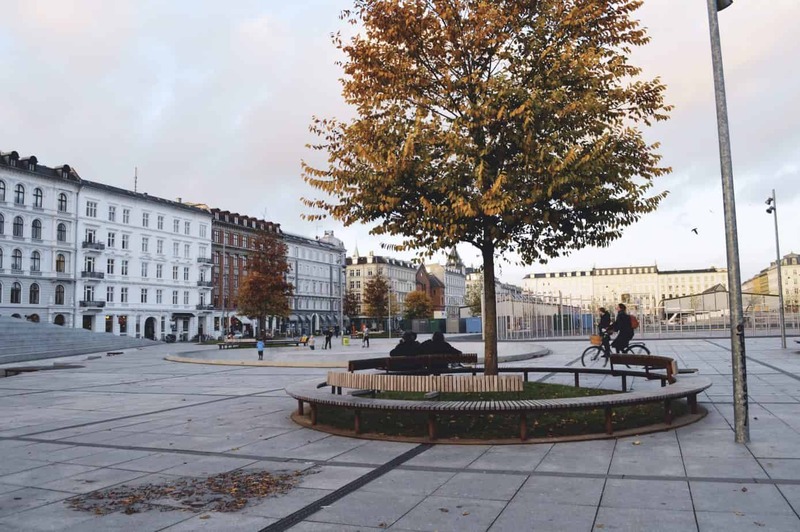 Right outside of Torvehallerne is a large square called Israels Plads. Most of the buildings surrounding the square are higher-end apartment buildings with pristine architecture. The design of the square is meant to integrate the adjoining Ørsted park, which can be seen from the trees planted in the square and the park’s unique designs, such as the stairs featured in the photo below. 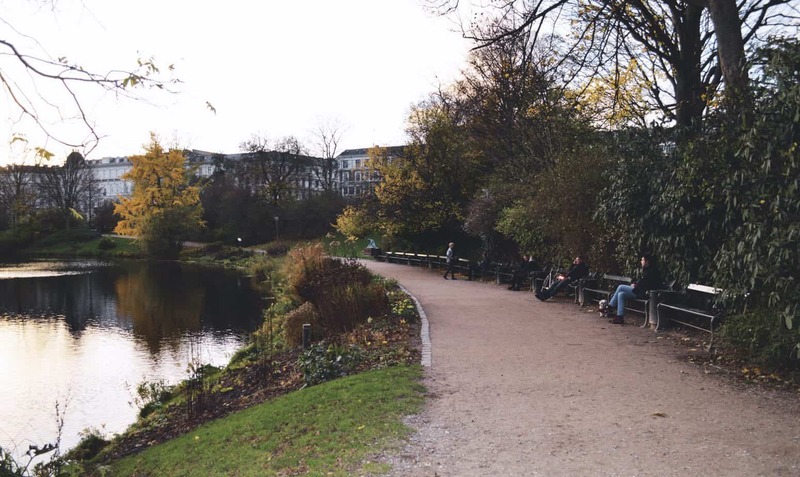 Ørstedsparken, the park that adjoins Israels Plads, is a peaceful and serene park that surrounds two large lakes. Whether you’re in the mood for a relaxing afternoon of reading or a morning run, Ørstedsparken is the perfect place for you. Strøget is one of the longest pedestrian shopping areas in Europe at 1.1 km. 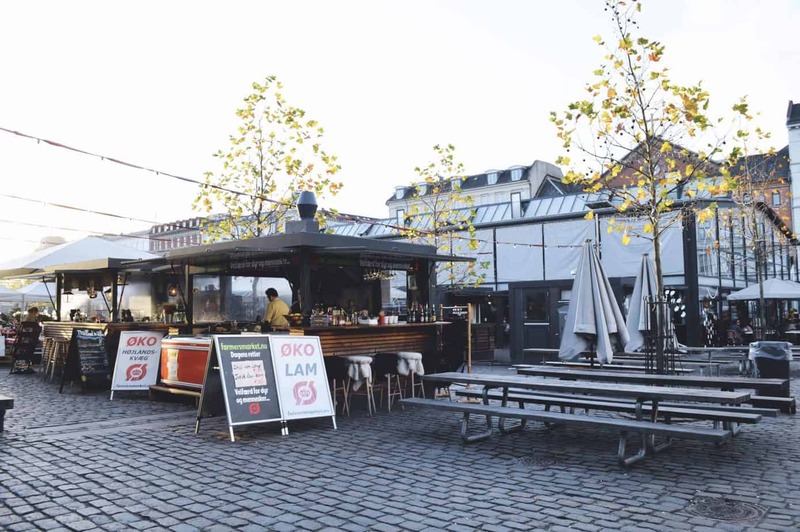 This is considered one of the more fashionable areas of Copenhagen and is lined with shops and cafes. The buildings in Strøget are primarily from the 19th and early 20th century, although the oldest building in Strøget dates all the way back to 1616. Strøget was not converted into a pedestrian area until 1962 and was met with quite a bit of controversy, although it has since proven to be a huge success. Dyrehavsbakken, or Bakken as it is commonly called, is the world’s oldest amusement park. It was founded in 1583 and is located in the woods about a 10 minute drive outside Copenhagen. 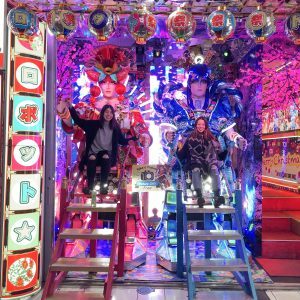 Although the rides and food stands in the amusement park cost money, entrance to the park is free. 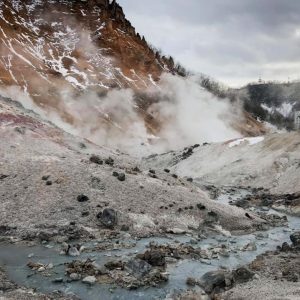 If you want to feel the energy of a centuries old family favorite in Denmark, spend some time in Bakken and you will experience the history and fun that is so deeply ingrained in the world’s oldest amusement park. 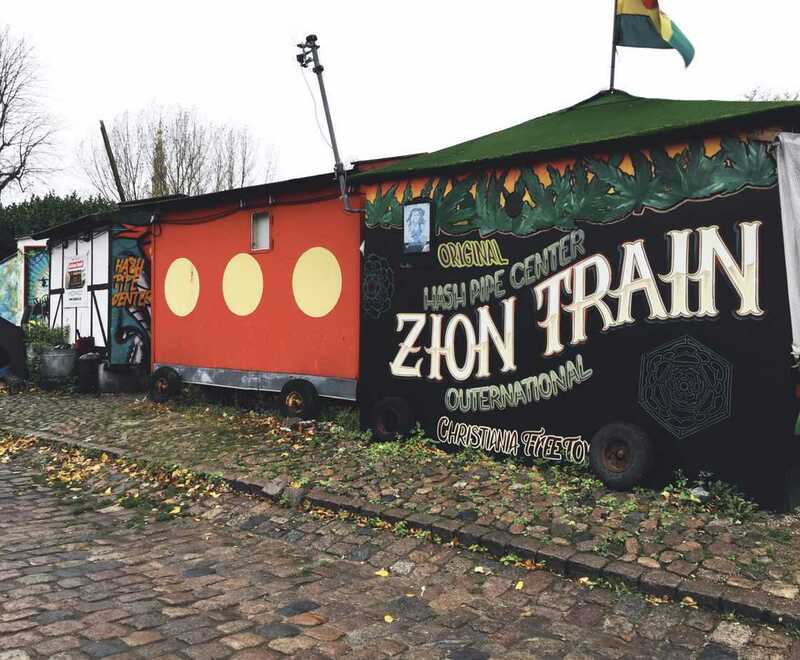 Finally, a trip to Copenhagen is not complete without a stroll through Christiania, the “hippie commune” of Copenhagen. 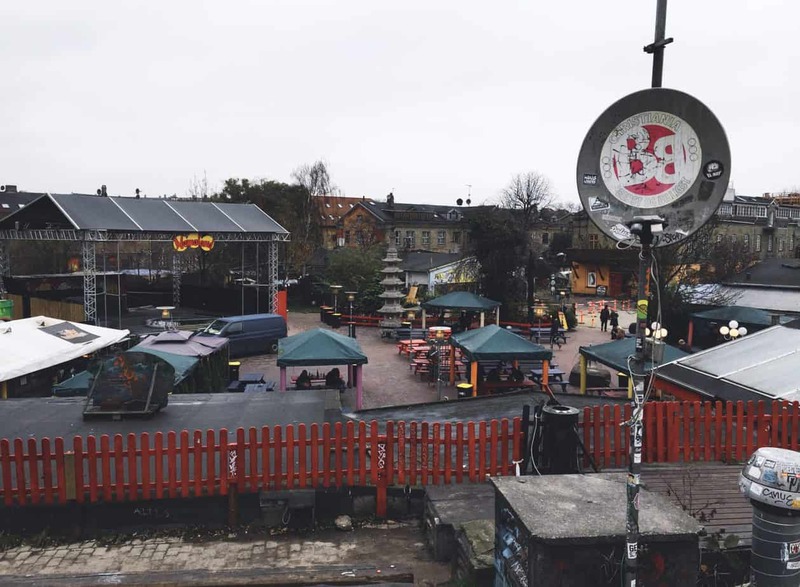 In case you didn’t catch our 24 hours in Copenhagen post, Christiania is a self-proclaimed autonomous region that is free from local and national laws. The residents of Christiania even use its own currency and fly its own flag. Christiania originally started as a social experiment in the early 1970s that has since grown to a community of 850 residents in this 84 acre neighborhood. Christiania is most notably known for its green light district, where cannabis shops run rampant despite its illegality in the city. Make sure you abide by Christiania’s rules and refrain from taking photos in the green light district, or else you will cause a scene and be very quickly ushered out of the commune. 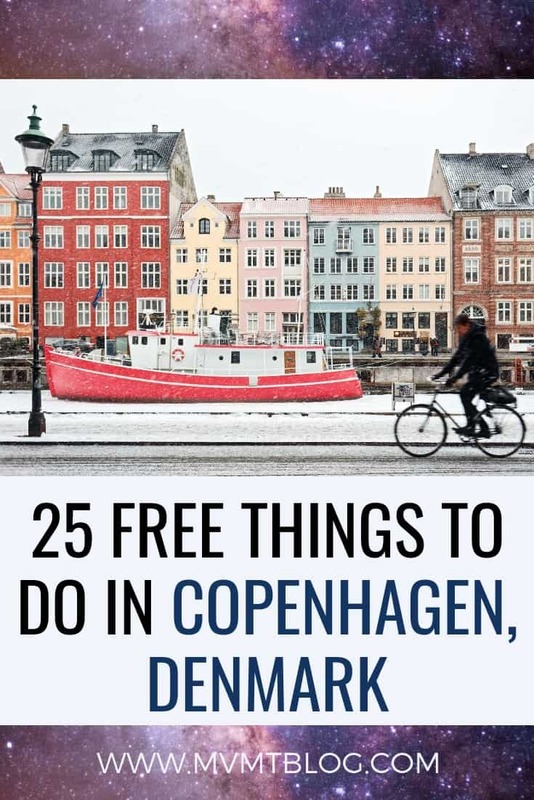 Hopefully this list of 25 free things to do in Copenhagen has changed any misconceptions you may have had about Copenhagen being unaffordable and inspired you to add Copenhagen to the top of your travel bucket list. 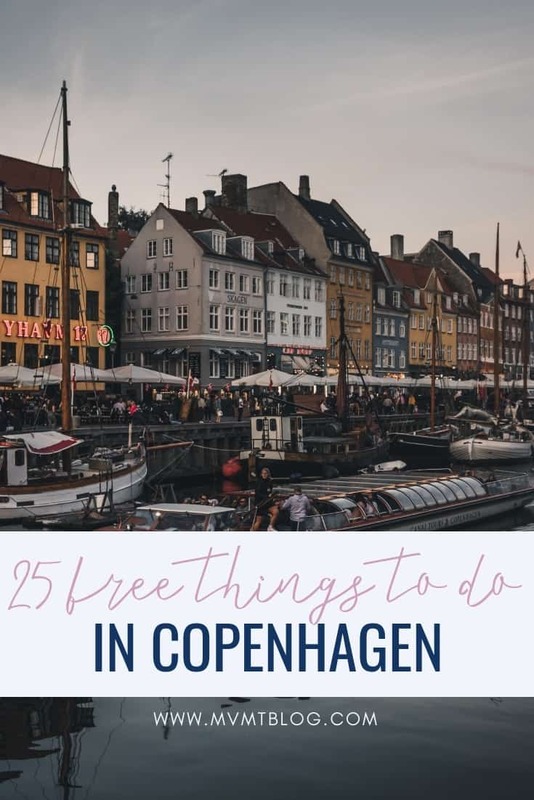 I recently moved to Roskilde, which is about 30 minutes from Copenhagen, so this is a great list of things to do! Thanks so much for the tip, Karalee! I just looked it up and updated my post to reflect such. I can’t believe Pusher street was actually demolished! I do believe it’s a good thing though because Christiania is all about community and peace, and once you have gang members from the outside coming in and inciting violence, then you know something has to be done. Hope you are enjoying Roskilde! 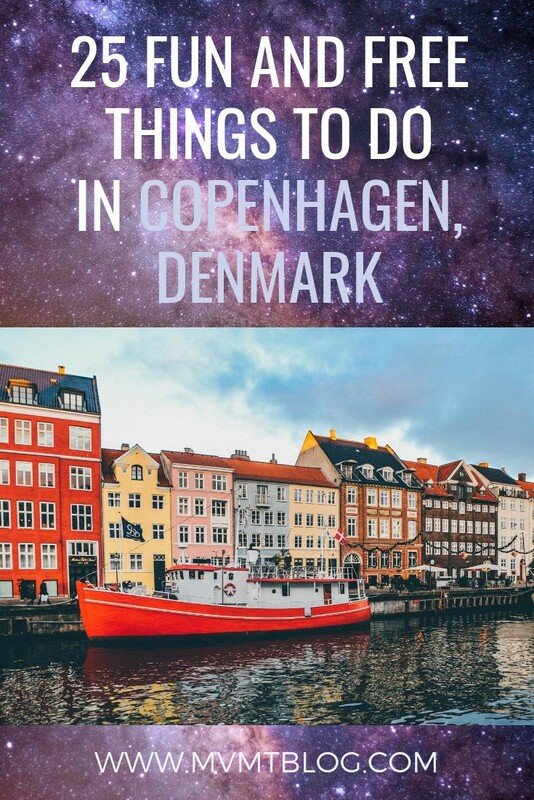 I haven’t been outside Copenhagen yet but would love to explore elsewhere in Denmark. Let me know if you have any recommendations! I am enjoying Roskilde! I would definitely recommend visiting Roskilde. 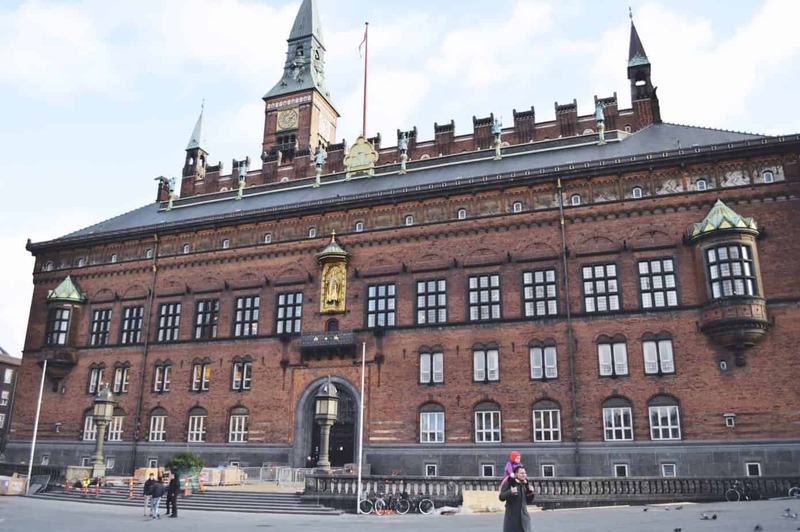 There is the cathedral where all of the Danish kings and queens are buried, the viking ship museum that’s at the harbor, and other various museums. The shops downtown are also fun to visit, and if you come in the summer there is the music festival. I would also recommend going to Helsingør and visiting Kronborg castle. There is a lot of see at the castle, and my favorite part was the catacombs. Also, the setting for Hamlet is based on the castle. You can also take a short ferry ride to Helsingborg, Sweden from Helsingør. Yes – those are all great choices! 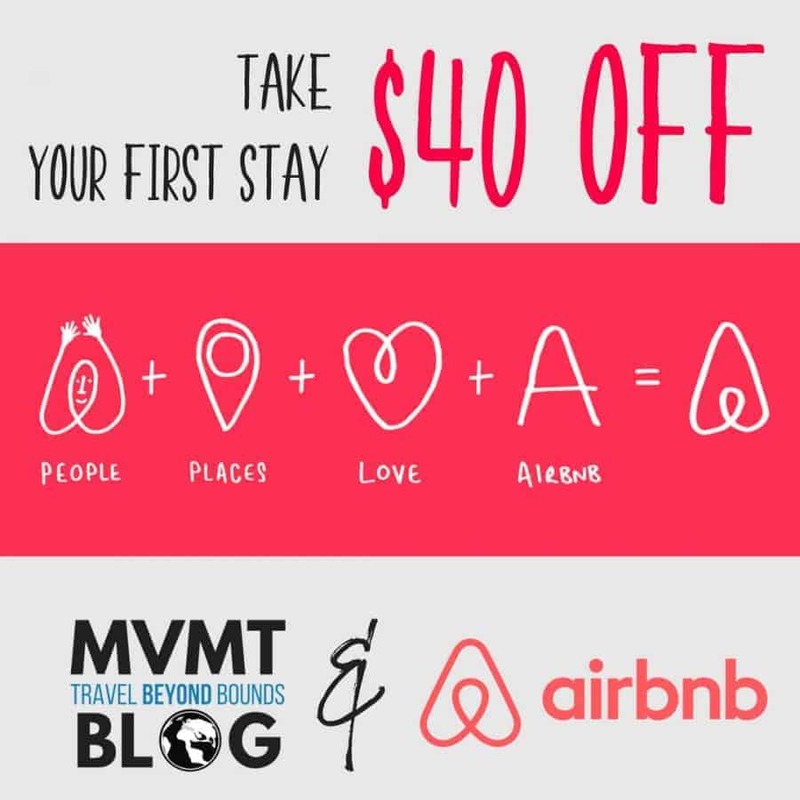 I am always traveling on a budget too and love finding awesome things to do for free! I just updated the section on Christiania to reflect that the Green Light District is actually no longer there as of September 2016 due to an increase in violent crime from the drug sales. 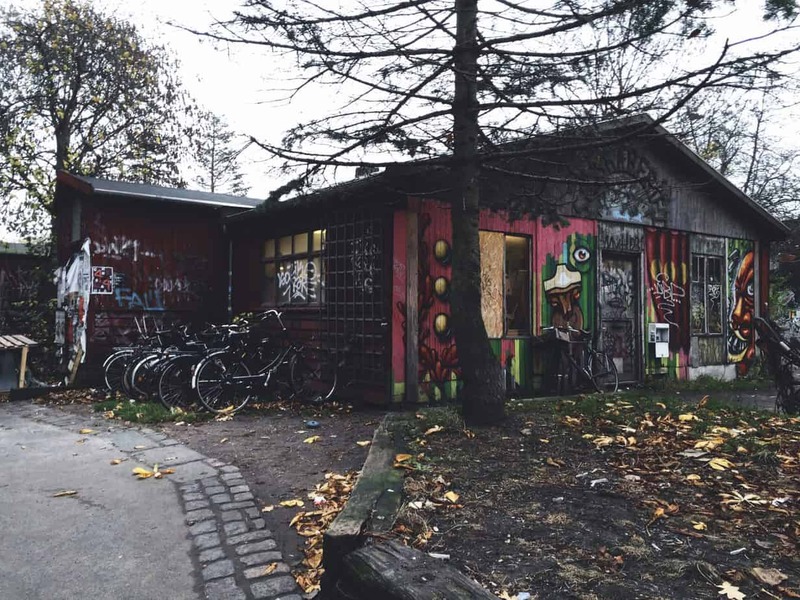 Christiania residents are all about community and peace, so it only made sense that they would shut everything down once crime got to be an issue. Nevertheless, Christiania is a lovely and unique neighborhood, and I’d highly recommend you check it out! 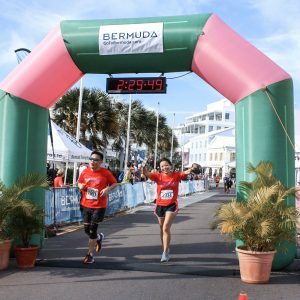 This is a pretty incredible list of free things to do and hey who doesn’t like free! I wouldn’t mind winter since I’m from a cold climate in winter to begin with would just carry on! Brisk winter walks are always nice to get a change of scenery. Good to see such a concise guide to cheap/free things in an expensive city. I do like the look of the market. Also I have always wanted to visit Christiana, because I am always interested to see these kind of experiments with communal living (although maybe now isn’t the best of time to go there). Thanks, Sarah! The market was really cool. I would actually be quite interested to see Christiania now just to see how things are different. I don’t think it’s unsafe anymore as the “problem areas” have been removed. Great compilation of free activities! That’s amazing that the tower at Chrstiansborg Palace is free – I love high places with great views! Also, the trampolines looks so fun! 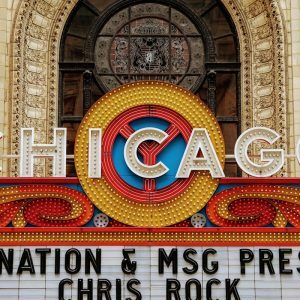 Great guide, always good to know about free things to do in big cities. Haven’t yet been to Copenhagen but I hope a Scandinavian holiday is on the cards soon, maybe next year who knows! I love the trampoline park! Thanks, Juliette! The trampolines were so fun and made us feel like little kids again. 🙂 I hope you get to visit Copenhagen, and Scandinavia in general, very soon! That is very sad about Christiania. I enjoyed walking through it and learning about their movement. Regarding the city, it is so beautiful and you definitely covered all the freebies for the most part! I loved seeing the Little Mermaid and standing in front of the Hans Christian Anderson statue as well. Totally agree about Christiania, Janine. Maybe one day the stalls will reopen with better enforcement of community sellers only. In the meantime, peace is what’s most important to them, and I’m glad they’ve found a way to achieve that. 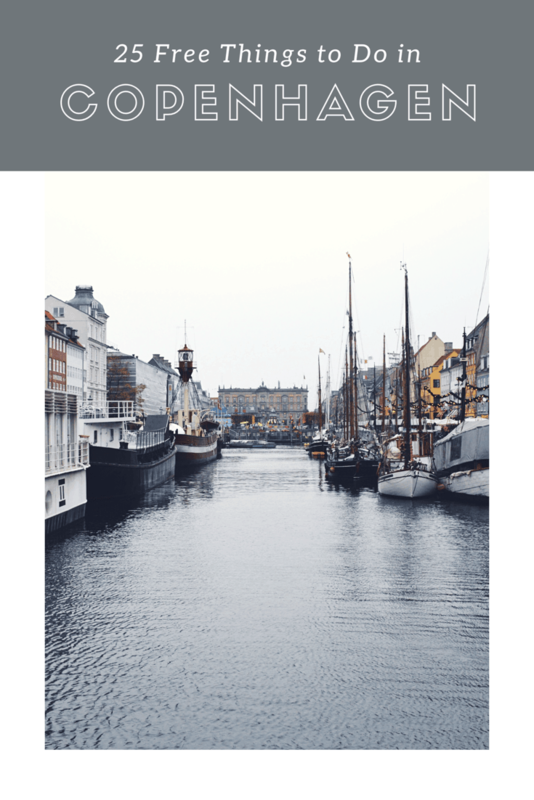 A list of free things to see and do in any Scandinavian country is extremely useful. It looks like it would take at least a week or more to get around to doing all these, Diana. I visited Copenhagen when I was five years old so I’m well and truly due for another visit. Wow Christina, that was a long time ago! I hope you get to go back soon. It would certainly take a while to hit all of these, but if you only have a few days you could choose a few that look most interesting to you and check those out. Copenhagen looks like a great place to visit. I will be bookmarking this for when I go to Scandinavia next year. Great to hear, Omniya! Hope you enjoy it! 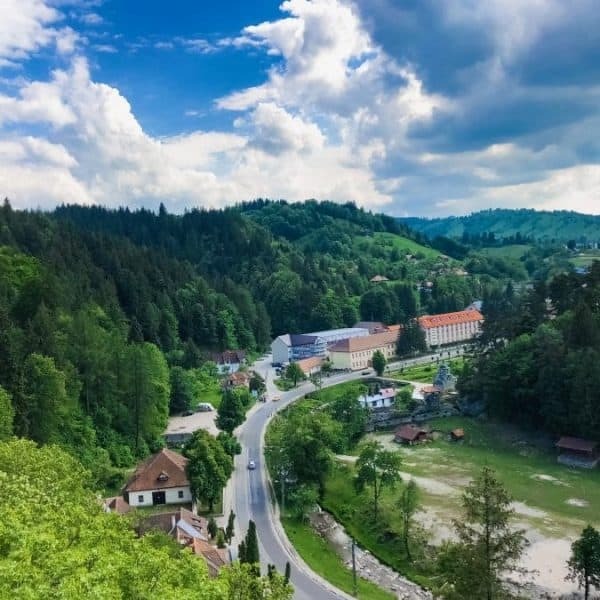 I love that you have a local tour first as it is such a great way to introduce yourself to a city/town, and locals usually give you great tips for the rest of your stay. Lovely list. I hope to visit one day soon. Thanks, Kayla! Food is a bit more expensive here, as well as most everything in Copenhagen. To get around that, I mainly ate at my hostel, which was cheaper than most restaurants/cafes, and I also had a meal in Christiania, which was cheaper than outside food. 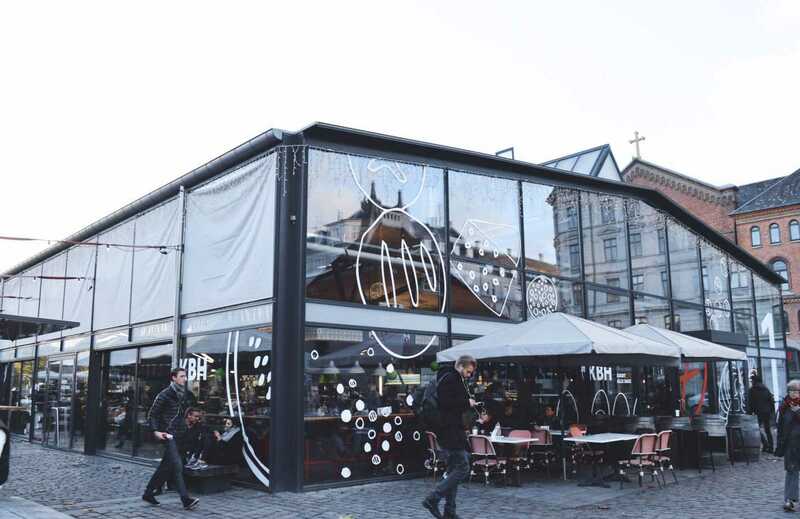 As an added bonus, the food in Christiania is locally sourced and organic, so you’re getting fresher food at a lower price! There is of course also the option of buying groceries at the grocery store if you’re staying somewhere with a kitchen. 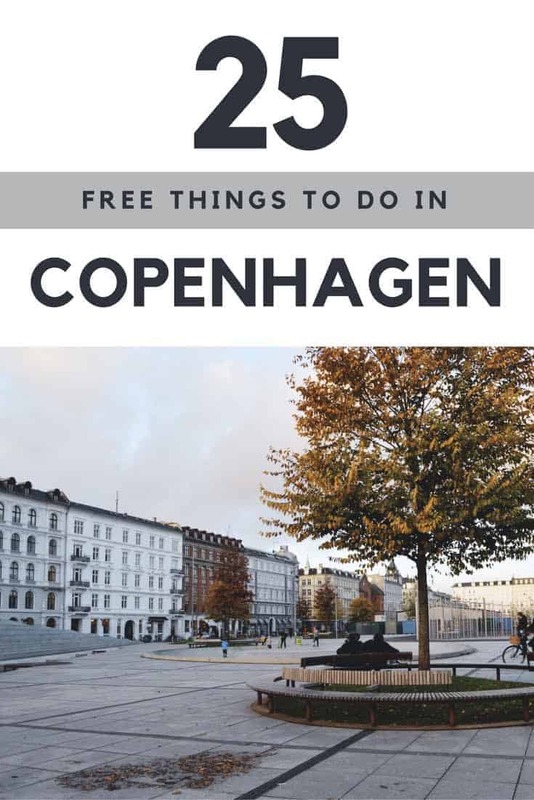 Copenhagen is a notoriously expensive city and its definitely great to have a list of free things for when I return. Whenever I travel to a new place I always take a full day just to walk around and see the city!! I love this post as it gives me so much to go see for free!! Especially the markets!! Yes you would love the market as it was a foodie’s paradise! 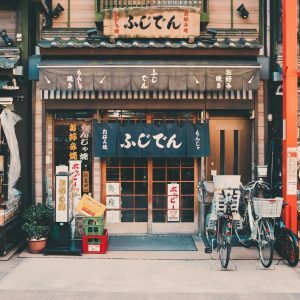 I love walking around the city as well to get a vibe of the city and discover some off the beaten path activities. Ahh amazing! I’m going to Copenhagen soon so you’ve done me a massive favour ? Great list! I haven’t been yet, but I have my eyes on it. 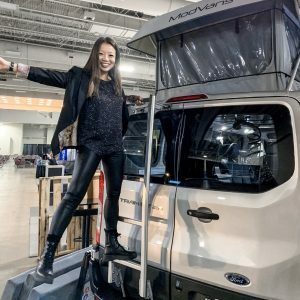 I will have to come back to this list when I finally make those travel plans! Make those plans soon, Trish! 🙂 Thanks for reading, I’d love to hear how you like it after you have a chance to visit. Great list. I love Copenhagen and free stuff is definitely great there. Scandinavia can get expensive! I was in Copenhagen last June and I really enjoyed it! I love climbing high towers and buildings to get a view of the city, though I didn’t know about your free suggestion, so instead I climbed a church tower at Church of Our Savior. It has a fee, but it’s cheap, and the last 100 stairs or so are outside! This is a city I really want to visit and love reading about all the things you can do, especially when they are free! 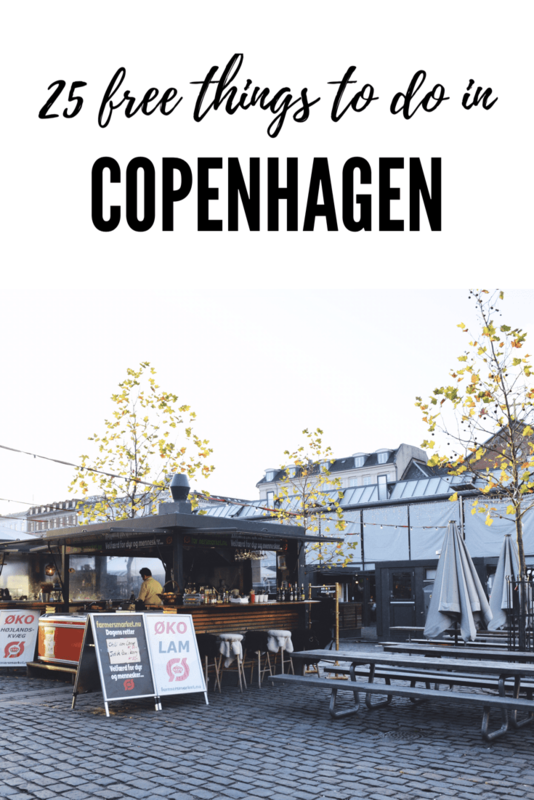 Great post, even though I’ve lived in Copenhagen all my life there was a few things I didn’t know about. One thing to add though, is that since the Ørsteds park is open 24 hours a day, is has a rumor for not being the most child friendly park (if you know what I mean), especially in the later hours of the day. Also, I just wanted to let you know that pusherstreet is back as it used to be, at least from what i’ve heard. 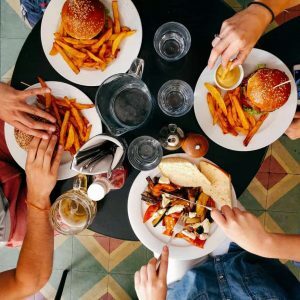 This blog has helped me a lot during my budget trip to Copenhagen. I could explore on a shoe-string budget just coz of this list. Thanks much.